One of the faults with a US Spec car is the ugly yellow reflectors on the front bumper. 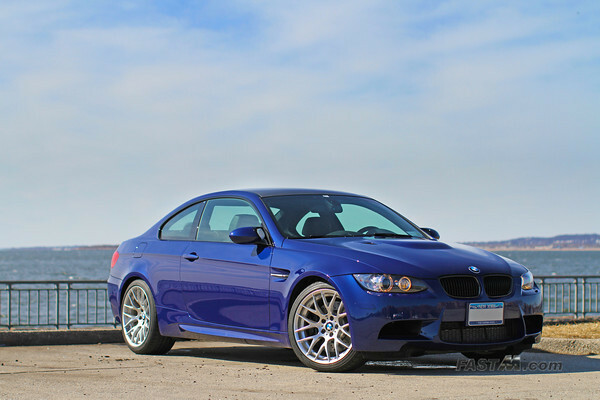 Euro bumpers cost a hefty price to import so a cheaper alternative, although it will not look as good as the Euro bumper, is to replace the reflectors with painted color matched reflectors. 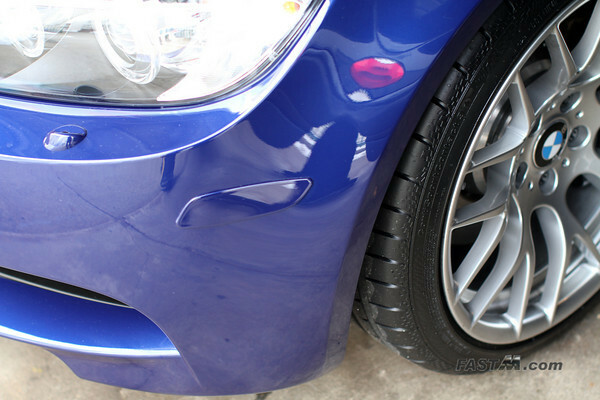 If you are afraid of scratching your car, apply painters tape below the reflector. 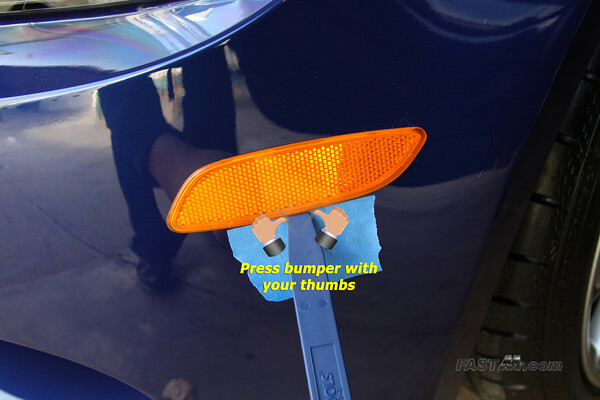 Using both thumbs, press the bumper directly below the reflector. The bumper should press in fairly easily and you should hear a small pop around the middle of the reflector. IMPORTANT: Be careful not to drop the reflector inside the bumper!! 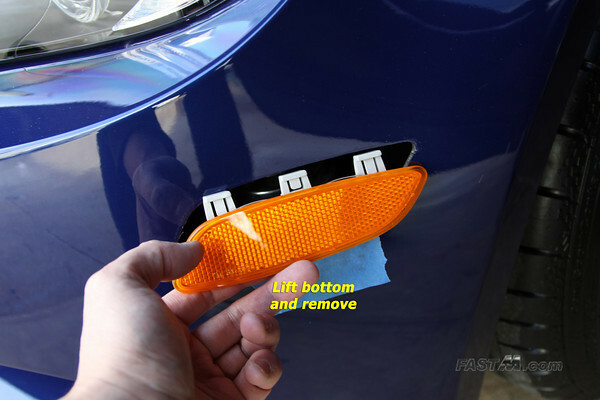 Using your fingers, you can easily grab the reflector from the bottom and lift it upwards then remove it from the bumper. 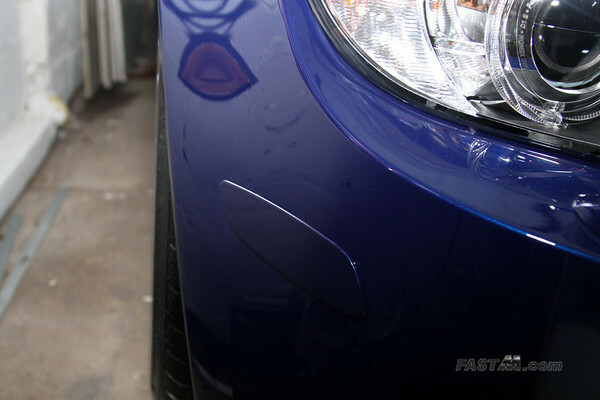 IMPORTANT: Again, be careful, do not drop the new reflector inside the bumper!! First insert the top part of the new reflector then press the bottom of the reflector in till it's flush with the bumper.